Sense was founded in 1955 as a self-help and support group for the parents of children whose disabilities were neither recognised nor provided for. It is a national charity that supports and campaigns for children and adults who are deafblind or have sensory impairments. The children were born deafblind as a result of their mothers catching rubella (German measles) in pregnancy. ‘The Rubella Group’, as it was known, was founded by Peggy Freeman MBE and the late Margaret Brock MBE, whose daughter and son respectively were born with congenital rubella syndrome. The Group began with ten founder families and assets of £2.25. 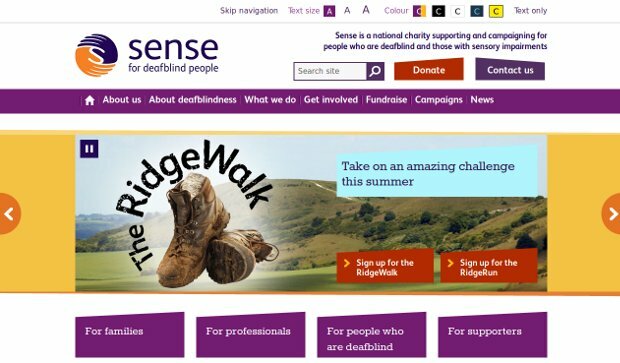 Today, Sense is the UK’s largest voluntary-sector provider of services to people with sight and hearing difficulties. It employs over 3.000 staff and meets the needs of thousands of dual-sensory impaired people from babyhood to old age. By the 1990s, Sense was also an acknowledged expert in its field ; Sense International was set up in 1994 to share that expertise worldwide. Indeed, in many parts of the world, services for deafblind people and their families are non-existent and their situation is often desperate. Sense International began work with partners in Latin America in 1995. The Sense International Professional Development Programme started in 1996, training people to work in their own countries. In 1997, a Development Manager for India was appointed and the first Indian project was launched in the following year. In February 1999, a second Development Manager was recruited in Romania. By 2011, Sense International had already staff in five countries and has worked with programmes in more than twenty countries.